New products featured from Domus, Cosmo & Collingwood. 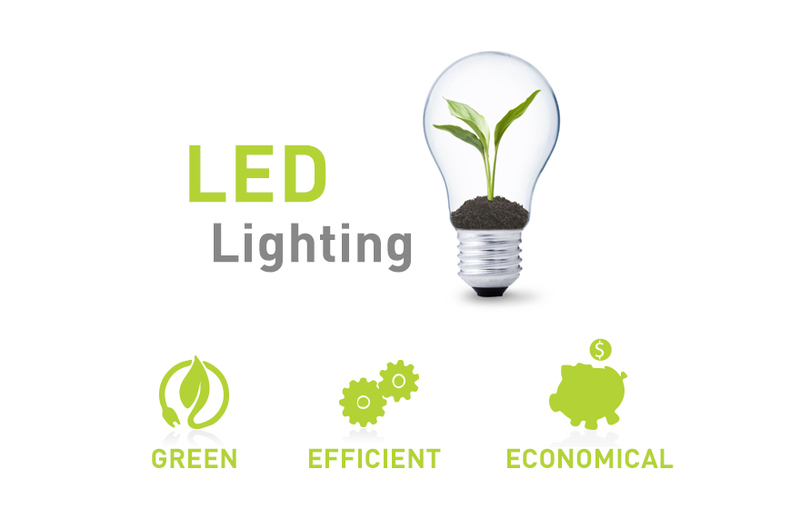 These LED lights include the latest technology in energy efficient lighting, with a much longer lifespan than other lighting sources. If you have any questions, require pricing or specifications please don’t hesitate to contact us via the details at the bottom of this newsletter. The DEKA inground luminaire provides a practical solution for inground lighting. 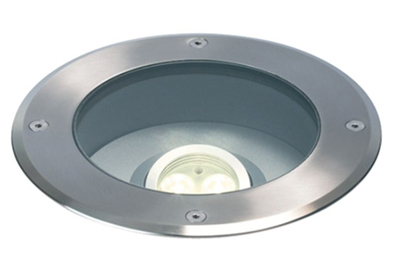 It is made from the highest quality 6063 grade aluminium, natural anodised trim cover, black anodised body, 316 stainless steel fixings, in white or warm white LED, clear glass lens. 2000kgs drive over, polycarbonate housing. IP67 rated. Patterned with single, dual, triple and quadruple openings. The DEKA will look appealing in any application from landscape, buildings, courtyards to sculptures. The PANDORA is a contemporary luminaire. Great for use over kitchen benches. With its polished chrome trim and satin white, natural anodised or matt black aluminium shade this pendant is a feature in any application. The PANDORA shade is made from high quality aluminium, polished chrome highlights, clear wire suspension, surface mounted canopy, integral constant current power supply, 100-240V AC, Osram 7 x 1W LED 3030 chips, cool white 4000-4500K, 500lm total light output or warm white 3000-3200K , 500lm total light output, 80° beam angle, non dimmable. 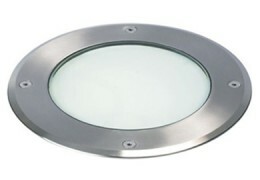 These LED round fixed surface mount downlights can be used in both residential and commercial applications. With an aluminium body, white trim, integral LED driver and wide beam. Non dimming with lamp temperatures of 3000K/4000K, 1200/1800/2400 lumens, with an IP20 rating. Available in 3 Sizes. Width: 80mm, 110mm, 140mm, Height: 80mm. This LED surface mount up/down wall light fixture stands for sleek design. Constructed in aluminium and comes with an integral driver. In 3000K/4000K lamp temperatures, 200/400/600 lumens, 240V with an IP20 rating. Its elegant minimalism is ideal for anyone who likes interior architecture to speak for itself. 2x 1W, 4x 1W, 6x 1W are used for the 3 available lengths, resulting in a very powerful, up or down light effect. Its compact and extremely flat shape reduces physical appearance and visual impact as much as possible, without compromising the quality of light. Width: 80mm, 150mm, 220mm, Height: 80mm, Depth: 30mm. Energy efficient surface mount LED wall light creates a dramatic lighting effect providing passages of light both up and down. In 10W, 3000K/4000K, 700 lumens and an IP20 rating. Available in aluminium and white. Width: 150mm, Height: 50mm, Depth: 77mm. A smart and contemporary surface mounted LED wall light with its simple cubic design. In 9W, 3000K/4000K, with 710 lumens and an IP20 rating. Available in silver or white. Width: 100mm, Height: 100mm, Depth: 100mm. While lighting can be placed virtually anywhere, some spots make it an absolute must, for example on architectural features. Outdoor landscape lighting can be used to highlight a wall, for example, by washing it or grazing it. This creates interesting highlights and shadows. This industrial, modern exterior wall bracket provides lighting up or down a wall. Made from aluminium, with silicon seals, stainless steel screws and an integral driver. Available in 12W or 26W LED, 4000K, 1400/2500 lumens, 240V. It has an IP66 rating. Available in black, silver or white. Length: 158mm, Width: 163mm, Depth: 48mm. 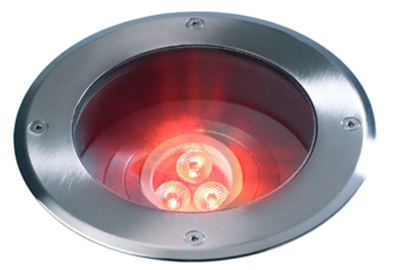 This LED ceiling light is perfect for both indoor and outdoor use. Commonly used for residential purposes for the application of bedroom lighting, bathroom lighting and lighting living rooms. Outdoor uses include illuminating specific areas on a deck or patio, such as a cooking spot, as well as railing and seating areas. With an aluminium body construction, comes with silicon seals, polycarbonate diffuser and an integral driver. Available in 18W or 30W, 4000K, 1900/2800 lumens, 240V, with an IP65 rating. Available in black or white. Width: 280mm, Depth: 36mm. Strong, powerful and practical, the GL007 FROSTED provides excellent light for marking any path, lobby or drive way, whilst drive over glass and direct to mains installation gives you peace of mind. The powerful 7W Luxeon LED inside means it is perfect for large scale effects, giving you a professional look. Construction material in 316 stainless steel (cover ring only) and aluminium body. Available in neutral white or warm white. In 8W, 3000K/4000K lamp temperatures, 96/101 lumens and has an IP67 rating. Width: 185mm, Height: 225mm. The GL008A contains 2x 7W LED units that can adjust to 20˚, bringing greater flexibility and achieving more light output than a 50W MR16 or 100W AR111 halogen lamp. Containing 10mm toughened glass, stainless steel cover ring and integral power supply, the GL008A is well suited for drive over situations, permanent use outdoors and being part of a retrofit or new installation. Available in both a flood or spot lens and 2 ambient LED colours. Construction material in 316 Stainless Steel (cover ring only) and aluminium body. With an IP67 rating, 38º beam angle flood, 18º beam angle spot, 16W, 3000K/4000K, 600/750 lumens. Width: 220mm, Height: 300mm. This mini path marker/ground light is ideal for both domestic and public applications. 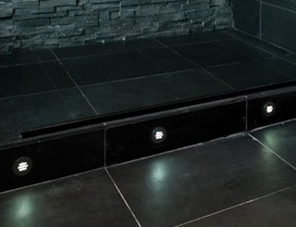 Its low profile discreet design makes this unit a must for decking areas, lobbies and walkways. Combined with exceptionally low power consumption means this product is cost effective not only to buy but also to run. Available in 6 ambient LED colours. Constructed in 316 stainless steel. 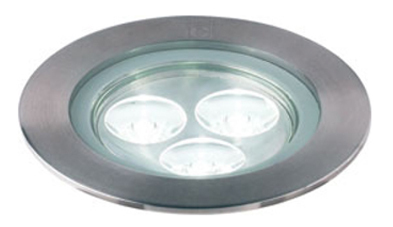 With an IP68 rating, 0.5W, 24V, 3000K/4000K, 3 lumens, 120º beam angle, Cut-out: 28mm, Width: 36mm, Height: 37mm. Colours available are in antique brass or stainless steel. This exclusive, robust yet attractive, mid-sized, LED slot light is ideal for both indoor and outdoor lighting. 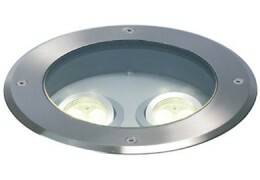 The LED light exits via 30º slots giving precise light output where you want it, and eliminates glare where you don’t. Inexpensive to run and maintenance free, the GL021 is great value for money. Available in 3 ambient LED colours, in stainless steel. With an IP68 rating, 1W, 350mA, 3000K/4000K, 8/10 lumens, 30º beam angle. Cut-out: 50mm, Width: 60mm, Height: 43mm. 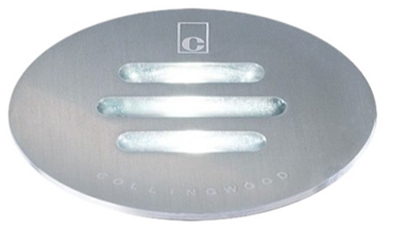 The GL040 is part of Collingwood’s submersible LED range. Equivalent to a 20W halogen, this marine grade stainless steel ground light is ideal for lighting walls, trees and walk ways. Available in flood or spot and in 3 ambient LED colours. 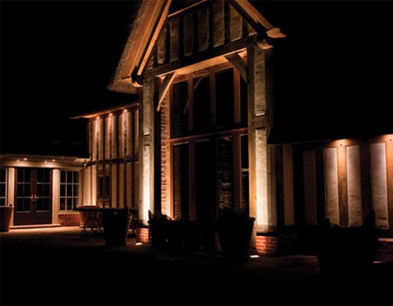 The GL040 with its low profile will compliment any surroundings and bring to life your outdoor lighting scheme. With an IP68 rating, 3W, 350mA, 3000K/4000K, 160/200 lumens, 20º beam angle (flood), 12º beam angle (spot). Cut-out: 65mm, Width: 75mm, Height: 43mm. 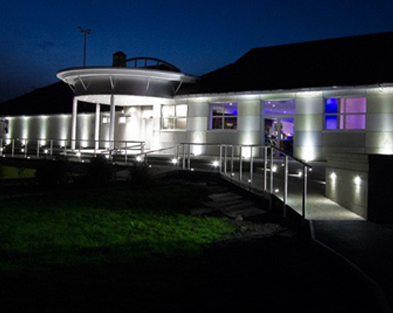 The GL007A is part of the drive over range from Collingwood’s extensive ground lights. Containing 1x10W led unit that can be adjusted to 20˚, bringing greater flexibility and achieving equivalent light output to a 35W halogen. Containing 10mm toughened glass, stainless steel cover ring and integral power supply, the GL007A is well suited for drive over situations, permanent use outdoors and being part of a retrofit or new installation. 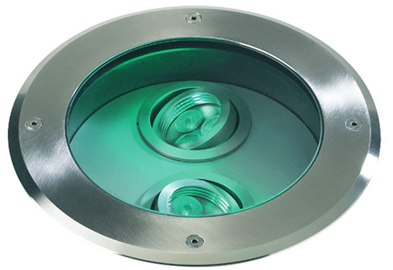 Available in both a flood (38º beam angle) or spot (18º beam angle) lens and in 3 ambient LED colours including blue. In 3000K/4000K, with 310/375 lumens. Width: 185mm, Height: 225mm. 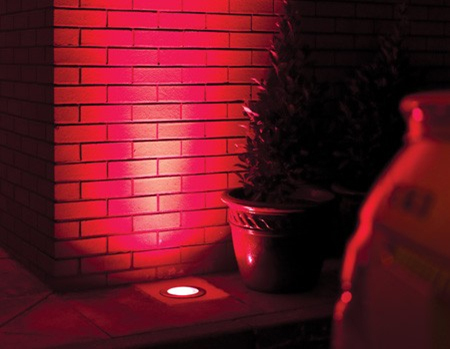 Turn any outdoor space – even a driveway – into a light show with this super-robust colour changing ground light. The unit’s 20° tilt angle and powerful RGB LED technology generates superb large-scale colour effects for features such as trees, buildings, and statues. Although the LEDs in RGB colour-change fittings can be run together to produce white light, the units are not designed to work this way. Using them as white lights shortens the product life and voids your warranty. Construction material in 316 stainless steel (cover ring only) and aluminium body. With an IP67 rating, 9.8W and 36º beam angle. Width: 185mm, Height: 225mm. 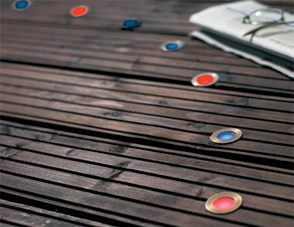 Paint the great outdoors with colour. 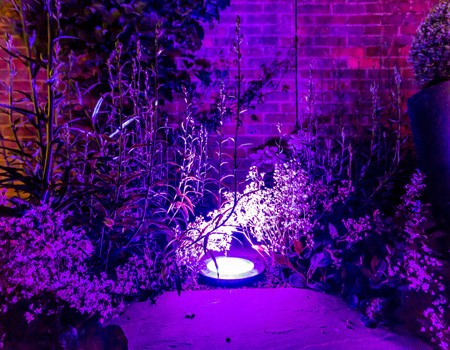 This is the RGB ground light that floods the garden with light even if you drive your car over it. With twin LED units independently tiltable to 20° and powerful colour changing LED technology, you can bathe any outdoor feature in light. Although the LEDs in RGB colour-change fittings can be run together to produce white light, the units are not designed to work this way. Using them as white lights shortens the product life and voids your warranty. Construction material in stainless steel (cover ring only) and aluminium body. With an IP65 rating, 40º beam angle in 16W. Width: 220mm, Height: 300mm. 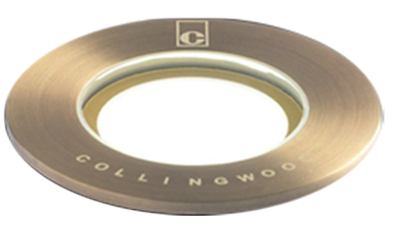 Please Note: Collingwood offers an extended 7 year warranty on eligible products when registered within 90 days of installation. Visit their website here for warranty terms & conditions.